This viewpoint was given by Ruth Daniel, a co-founder of the global grassroots and creative community Un-Convention, at a press conference in Jinja. 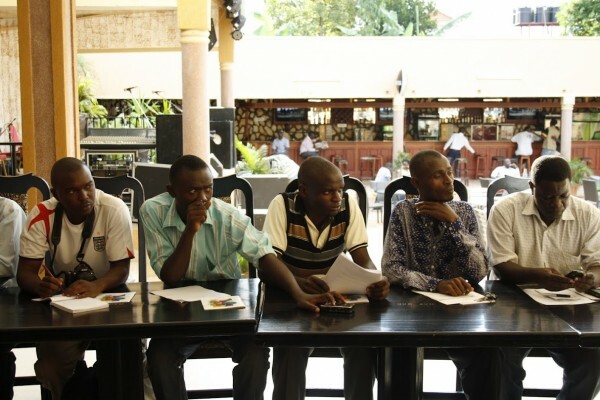 The press conference was organized by the Bayimba Cultural Foundation; launching the annual Bayimba Festival and DOADOA, the East African performing arts market at the Bax Conference Center in the heart of Jinja. 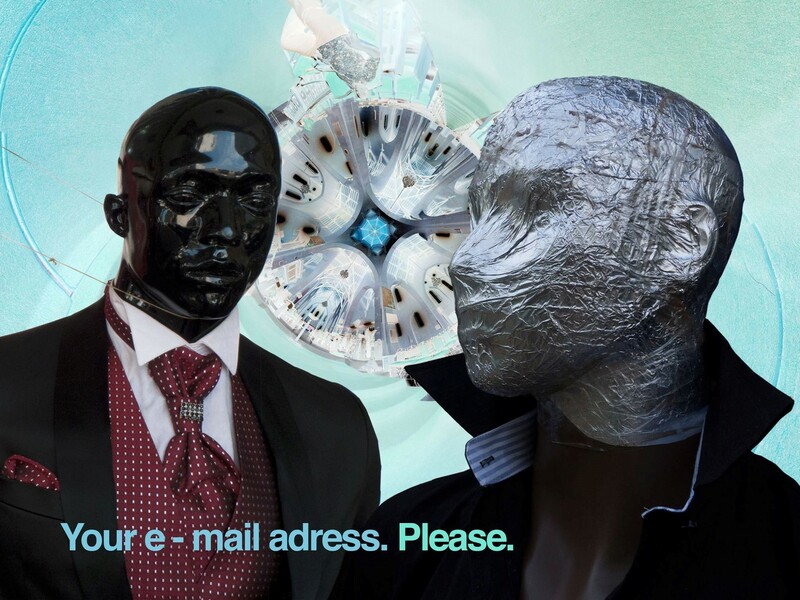 “DOADOA is a market place. The buyers are the record producers, festival owners and music executives most likely to book an artist and market them. The sellers are the artists themselves who originally would have been denied a platform,” Faisal Kiwewa, the Director at Bayimba Cultural Foundation said. 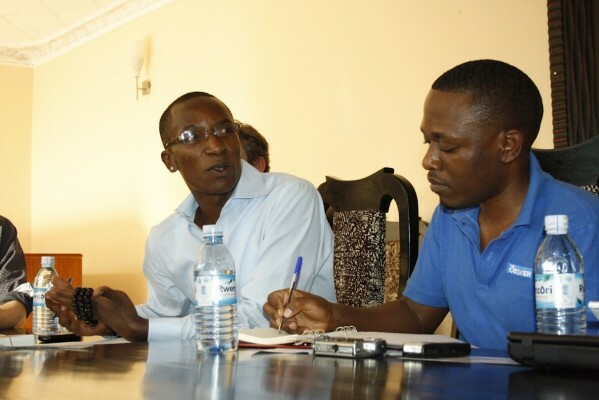 Faisal Kiwewa, the Director of Bayimba, at the DOADOA, Jinja May 2012. One of the crucial aims of this market place would be to boost the creative arts in East Africa through developing and strengthening the networks between (performing) artists, art promoters, production houses and other professionals of the creative industry in the region. Another goal that was mentioned was to professionalize artists and arts initiatives so they can meet new regional and international challenges, furthermore develop entrepreneurial skills and find new markets both at home and abroad. In an effort to make African music global, a four-day recording session of an album took place, featuring East African artists like Albert Ssempeke, Kaz Kasozi and Mzungu Kichaa among others. In addition, the artists Percussion Discussion Afrika and Joel Sebunjo & Sundiata showcased their music in the evening. 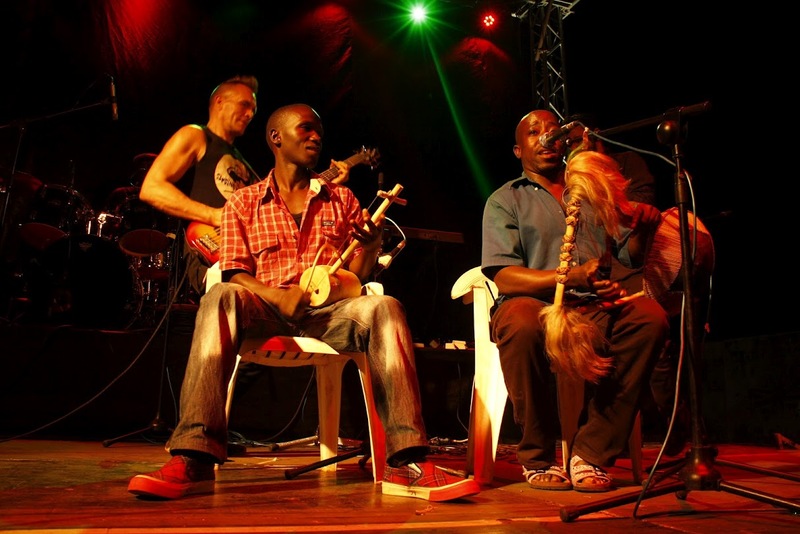 Musicians jamming together at Bayimba Regional Festival of Arts, Jinja May 2012. What does it take for a local East African artist to excel internationally? “Originality, a different sound and an independent label can catapult a local artist to the international scene. The west has exhausted its jackpot of fresh ideas and is in dire need of new ones. We are generally looking to Africa to lead the way in the new music revolution,” Martin Elbourne, one of the head bookers of the popular Glastonbury Festival in the UK, was heard saying. So what does independence and originality mean then? Another problematic area to define was world music. This has mainly been due to complaints that anything resembling African music is defined as world music, which has not necessarily been true. Jez Collins agreed and said that this is a misconception that needs to be addressed because it is totally wrong. 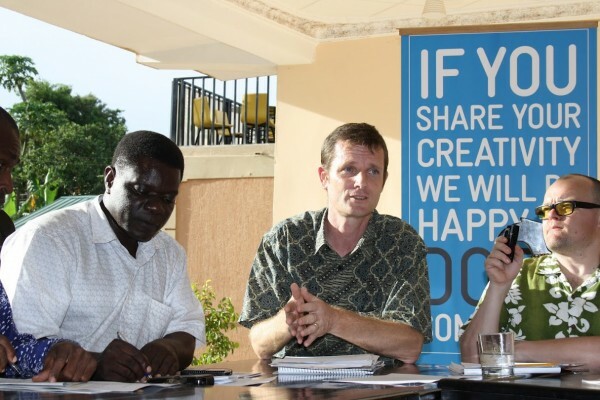 Jez Collins (left) and Ruth Daniel (middle) from Un-Convention, sharing ideas at the DOADOA, May 2012. The Un-Convention is a grassroots community based in the UK. Members meet physically and virtually to share ideas, discuss and debate cutting-edge issues around music, technology and creativity. The organisation brought along a selection of musicians and music industry entrepreneurs to this noble initiative to deliver a wide range of workshops, sessions and collaborations. Those in attendance included Jesse Hackett, a keyboard artist who plays with the popular UK rock band Gorillaz; Valgeir Sigurðsson, a celebrated Icelandic producer of acts like Björk and Feist; Martin Elbourne, the head booker of the Glastonbury festival; Stephen Budd, the music manager and co-founder of Africa Express; the London-based MC Bashy; and other music academicians like Mike McNally, the Head of the Academy of Contemporary Music in the UK, and Jez Collins of Birmingham Popular Music Archive. Also invited to the DOADOA were stakeholders and participants from within and outside Africa, such as Tabu Osusa from Ketebul Music Kenya, Afrikwetu band from Tanzania, Jørgen Damskau—a Norwegian copyright expert, and Karabo Motijoane from Sheer Publishing in South Africa, in addition to other local experts on the music scene. From the DOADOA workshop, Jinja May 2012. 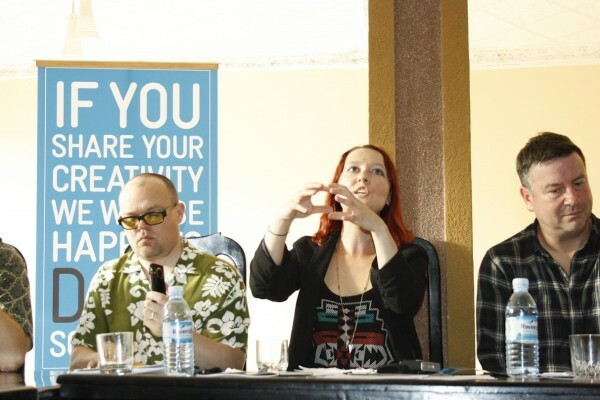 Participants sharing creativity at DOADOA, Jinja May 2012. DOADOA is meant to gradually mature into a regular annual regional event. It will move from one country to the other within the region. Bayimba Cultural Foundation in partnership with Un-Convention (UK) and regional partners Sarakasi Trust, Busara Promotions and Phat!Buzz with support from the British Council Uganda, Mimeta, HIVOS and DOEN foundation were the official sponsors of the DOADOA market. Fingers crossed then, while we wait for the next music icon to rise out of this great continent. Hugh Moffatt, British Council, at the DOADOA, Jinja May 2012.